The Dell Venue 8 Pro is one of the best devices available in the market. 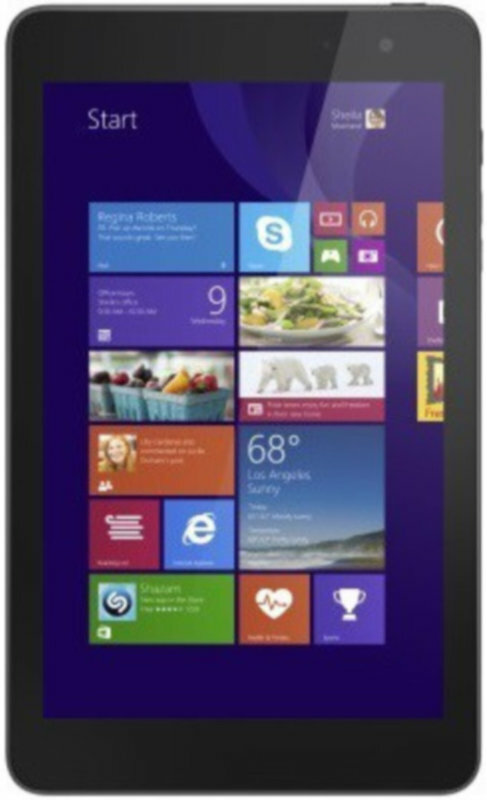 It has a great look and feel to it and can easily compete with other tablets in the same price category. The tablet is powered by a 1.8GHz Quad-core Intel Atom processor and it comes with 2GB of RAM. It handles multitasking with ease. It runs on windows 8.1. It can run windows store apps like NFS, Asphalt 8, and FIFA without issues. It comes with a 5 MP rear and 1.2 MP rear camera with decent picture quality. The display has an HD resolution and the color reproduction is quite impressive. It is powered by a 4830 mAh non-removable battery. It weighs 395 grams which is a little heavy when compared to others in the same category. It has connectivity options like Wi-Fi and Bluetooth. It also has an ambient light sensor, compass magnetometer and accelerometer. Overall it is a decent tablet and is quite user-friendly. The Dell Venue 8 Pro is priced at INR 10999. Dell Venue 8 Pro full specs and reviews as of Apr 2019. Buy it here!